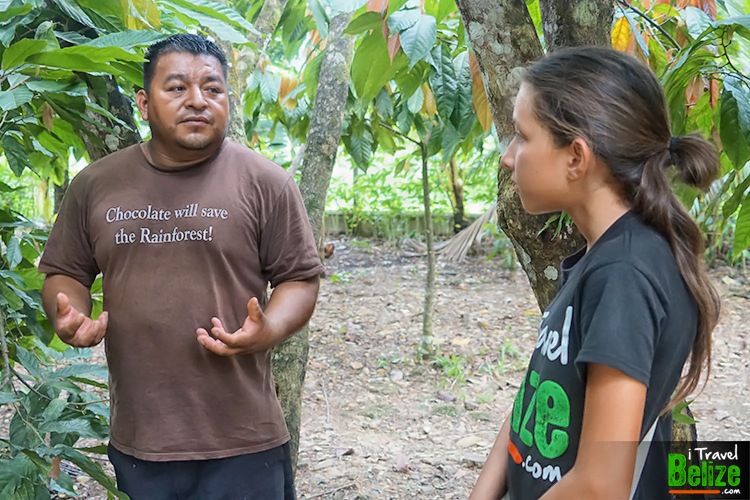 The tour starts in the back yard were the Maya family practices polyculture to imitate nature and grow as many different crops as possible in the small space. 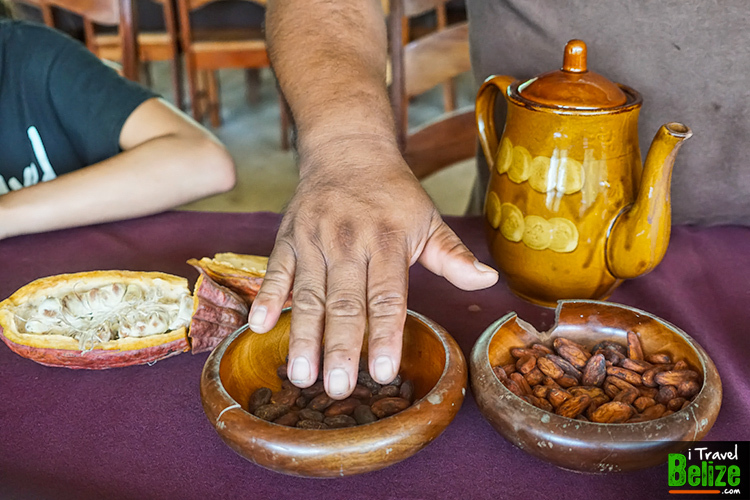 There are 3 different species of cacao growing among an avocado tree, lime, guava and much more. 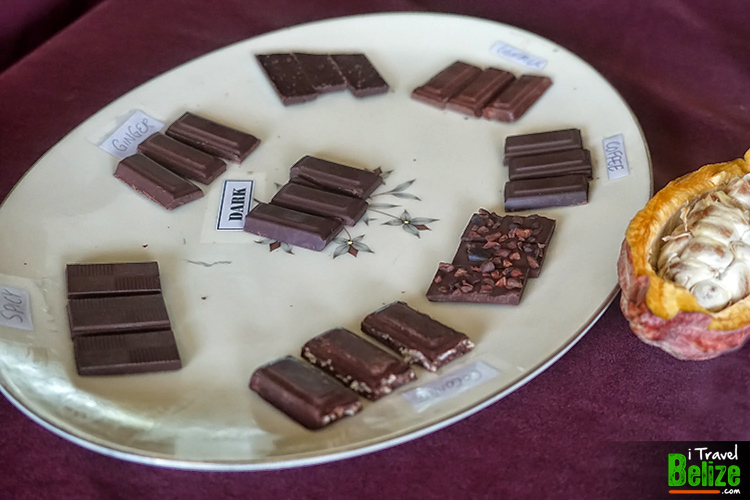 Of course, a chocolate tour would not be complete if we did not learn how to make it. 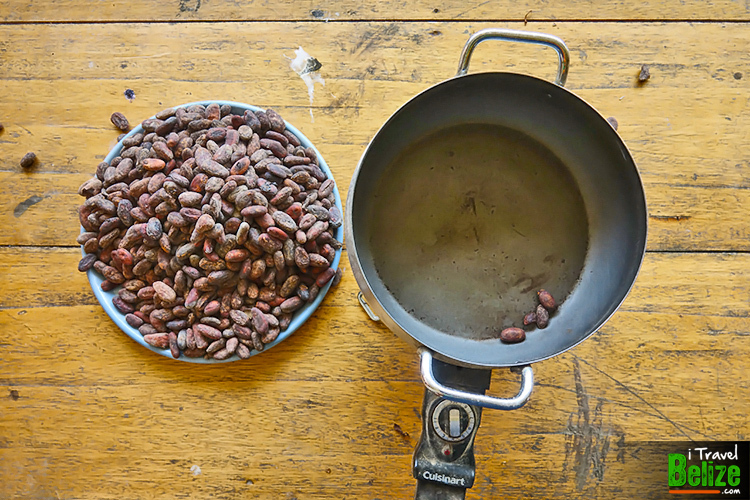 Madi had never seen it done, so this was a special treat for her. 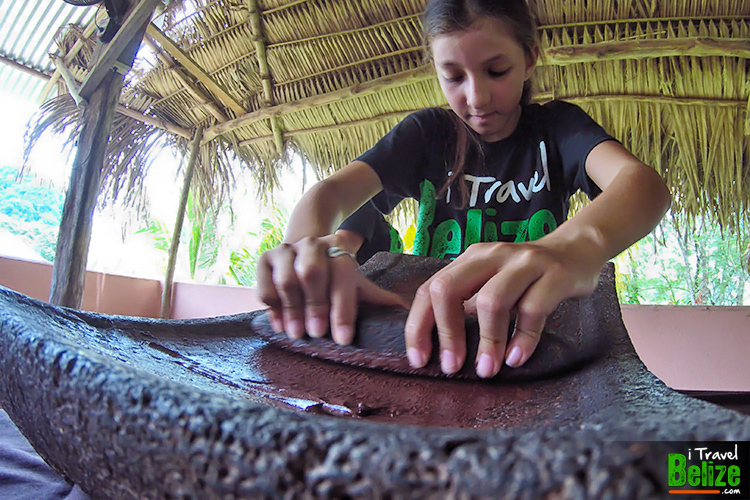 She got to grind the cacao beans on the stone passed down by 5 generations of Maya families. 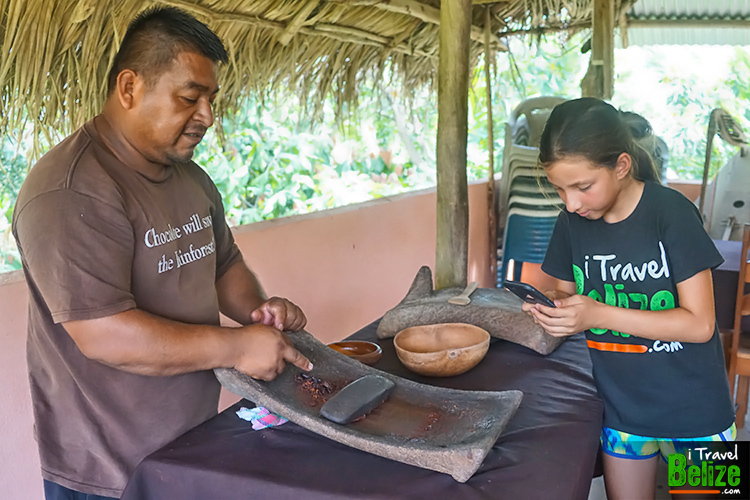 Chocolate making was followed by a tasting, including the traditional Maya drink. 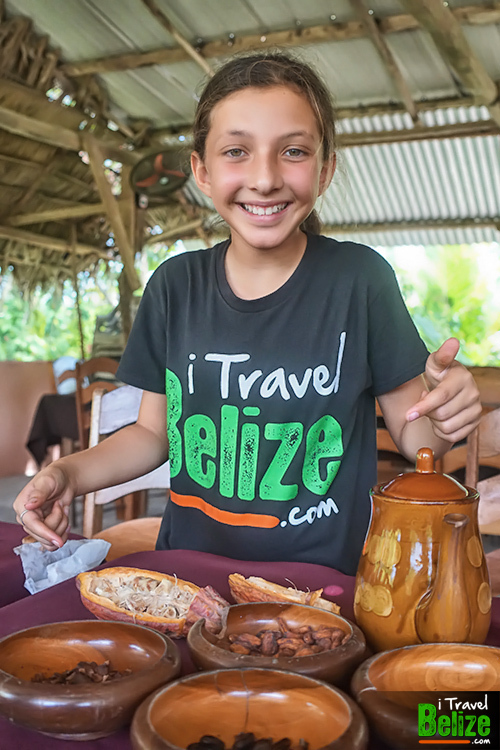 This tour is an excellent group tour to participate in on any Belize adventure. It’s even great for children. 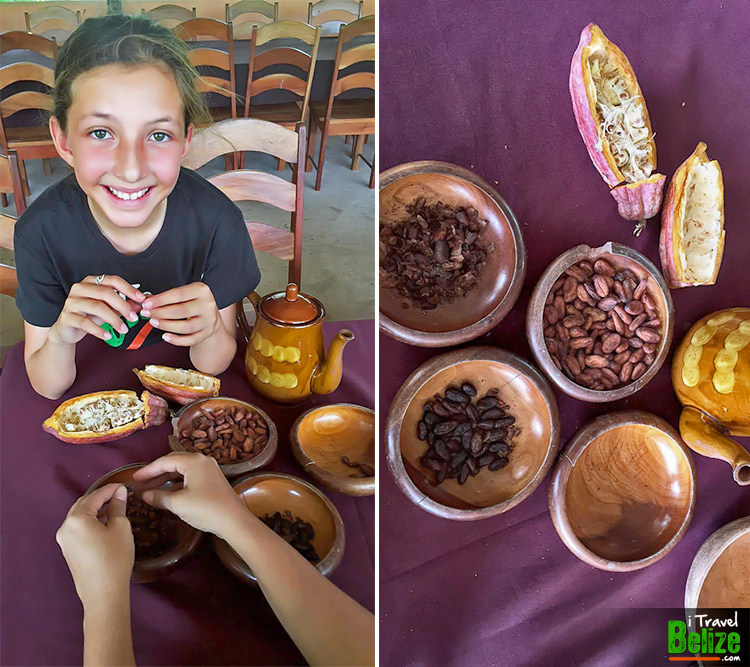 They learn history and chocolate making skills, hands on as opposed to from a book. 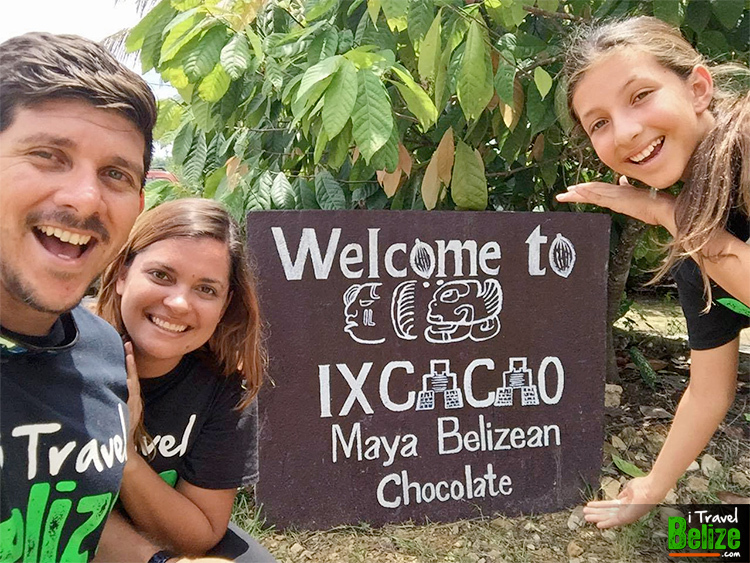 I think this tour is a great tool to help kids understand how nature works and how far we’ve come from the connection we once had with the earth. 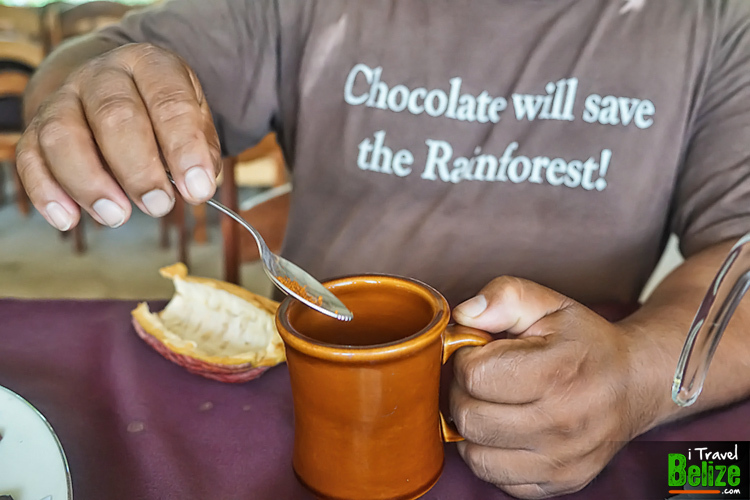 Sandflies pollinate the flower of the cacao tree, no sandflies no chocolate! 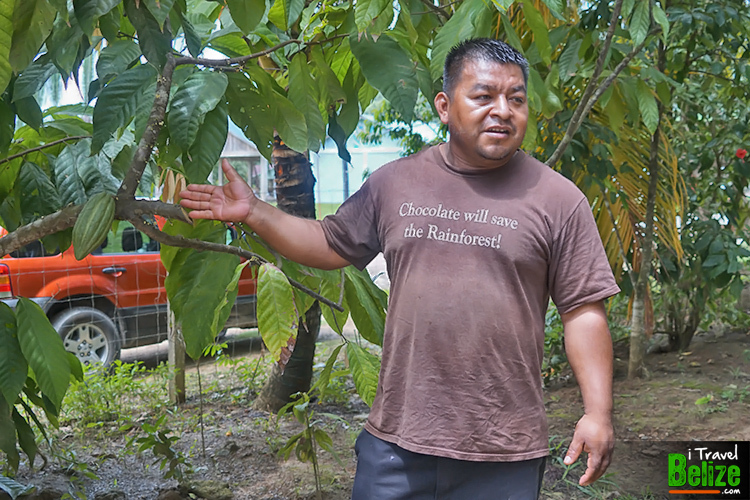 In the time of the Maya, cacao was more valuable than gold. 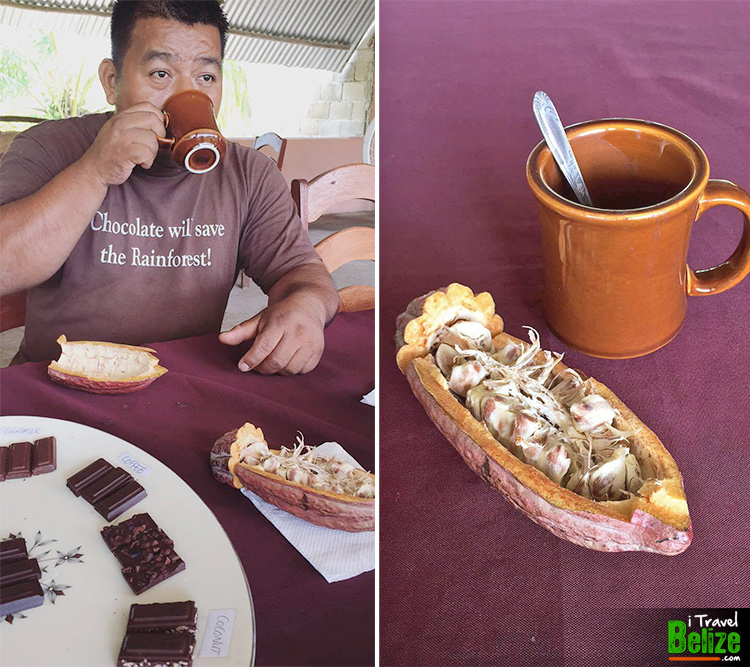 Traditionally, Maya drink hot chocolate with chilli. 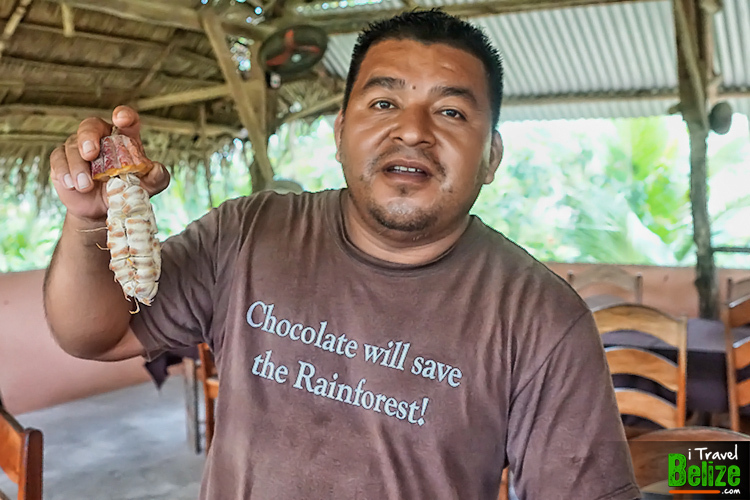 In the time of the Maya there were no dairy or sugar industries so they only had dark chocolate. 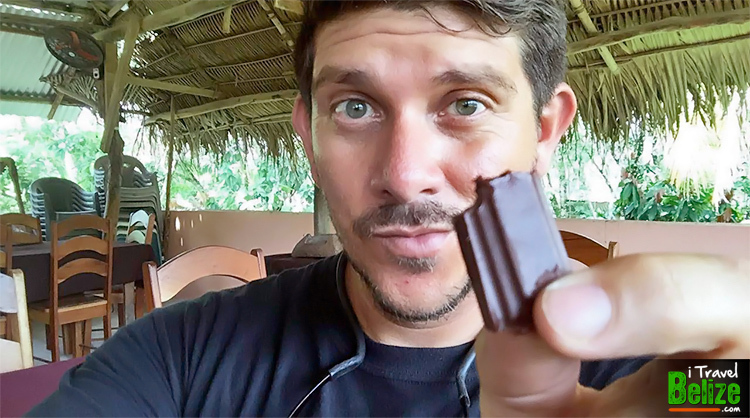 I could go on forever, but I would ruin the tour for you. 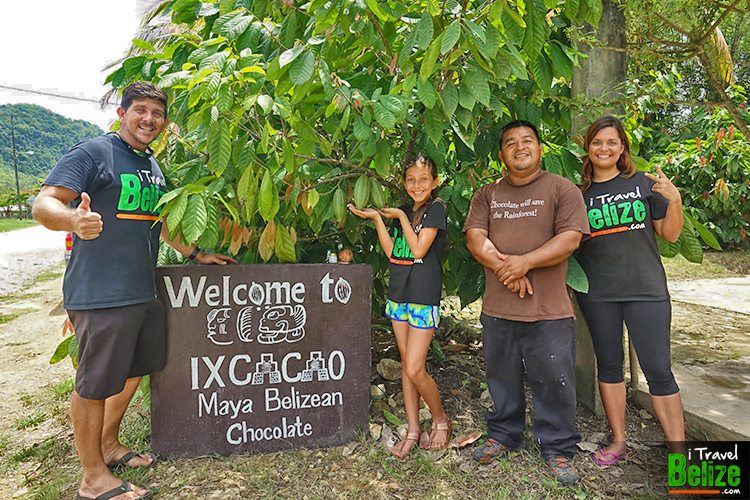 What do you want to know about Belizean Chocolate?